The Kerrick Royal Rosso is a three phase, heavy duty unit with a low speed powerful pump, shock proof frame and optional hose reel. 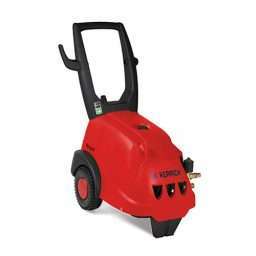 Operating at an impressive 3000 psi and 16.6 l/min this electric pressure cleaner has serious cleaning power. It’s the ideal unit for large cleaning jobs such as truck wash bays, equipment wash down and job sites where heavy duty cleaning is required. This economically priced pressure cleaner provides great value for money.